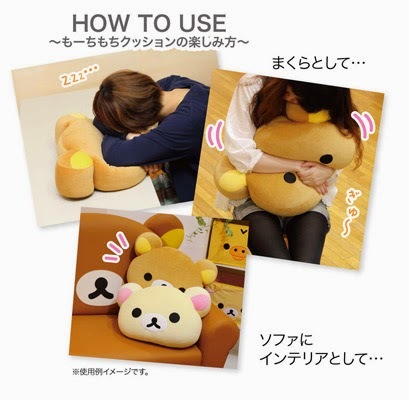 Rilakkuma new fuwa fuwa~ もーちもちクシオン head cushion. 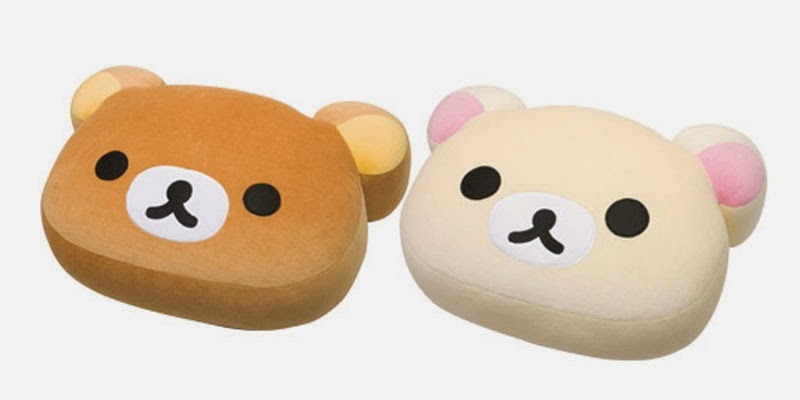 This is a more boxy version of the usual head cushion and it looks like a good napping pillow. 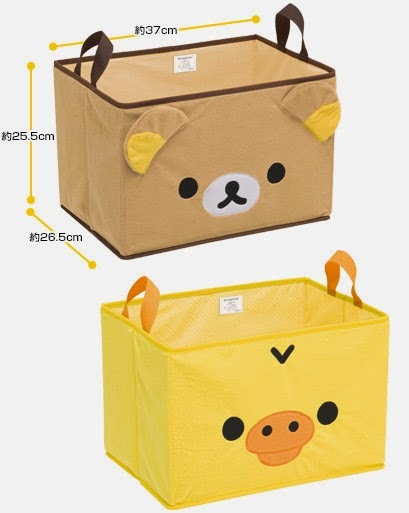 They are flat and stackable which can helps to save space when keeping them. There is the L Size head cushion. 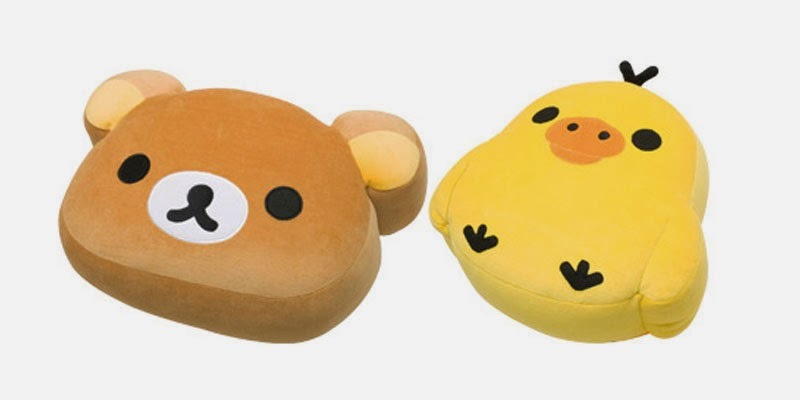 There is the M size head cushion. 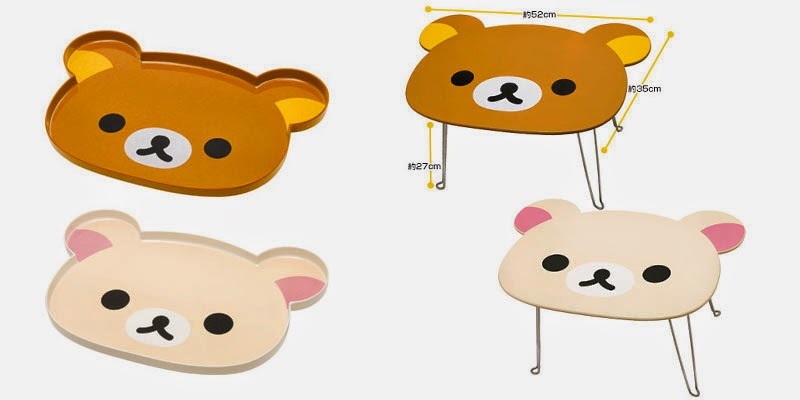 And there is the return of the Rilakkuma foldable tables. Previously, San-X produced sitting storage boxes and now, they've came up with open lid storage boxes that are meant to keep light weight stuff and designed to be able to slot into cupboard shelves easily. 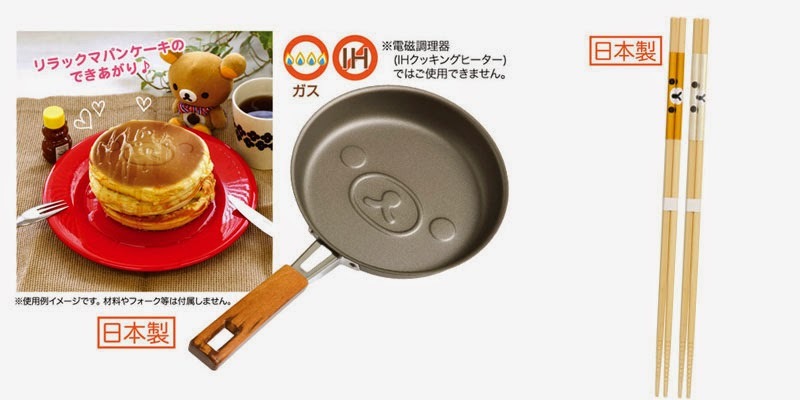 And this month, we see the return of Rilakkuma and Kiiroitori's sandwich/cookie cutter! This item was very popular back then and we are very excited to see it back on the catalog. 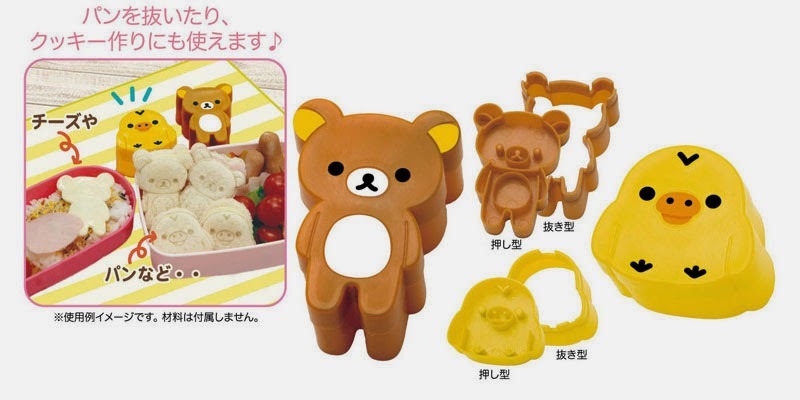 Again there is no Korilakkuma cutter but then again, Rilakkuma and Korilakkuma are very similar. There are also a few more items that are published in the latest San-X catalog but we'll share them on another day. 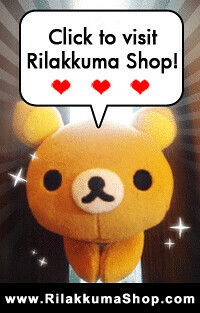 Till then, have a happy Rilakkuma day everyone.